When it comes to Halloween donuts, the options are endless. 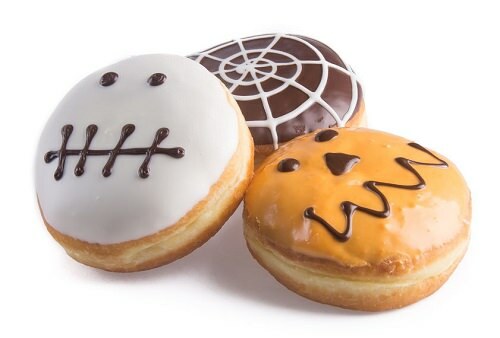 You can make pumpkin donuts, Zombie donuts, or spider donuts. You can also make vampire donuts. Pick up a box of glazed donuts and with a couple of chocolate chips or red hot candies, add some eyes. To make them into vampires, you can use the fake vampire teeth that are always available around Halloween, or stick some candy corn into the donut center to create a snarling mouth.